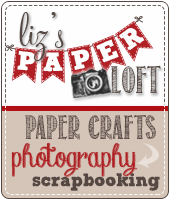 Liz's Paper Loft: MCT November Release Blog Hop ~ hi sweetie! 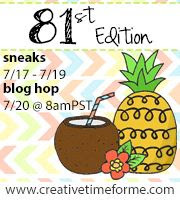 Hello, today is My Creative Time November Release Blog Hop! I hope you've enjoyed this "fun and sweet" release! You should have arrived here from the talented Miss Kim, if not head over to our fabulous leader Miss Emma...this way you don't miss a thing. Do you remember my card from Monday where I die cut the circle out of my background? That's right I saved it to use on this card. Well actually I made both cards at the same time...this is a big time saver for me. :) After heat embossing and water coloring the candy pieces I added glossy accents. By simply adding opalescence thread behind the candies softened the background. Then a few sequins and glossy accent dots and it's complete. Hi Sweetie is now for sale! 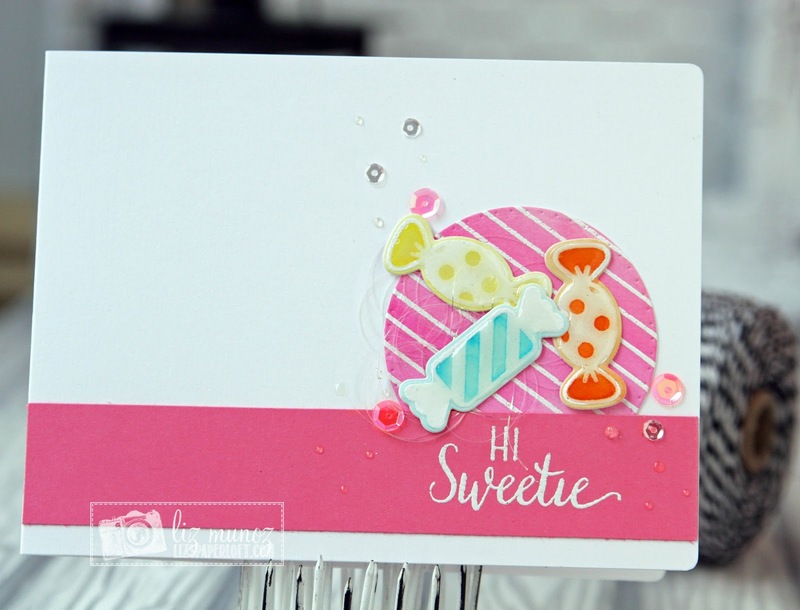 Our "Freebie" for this release is this ADORABLE "Hi Sweetie" stamp & die set. It will be given to the FIRST 150 shoppers! If you are one of the 1st 150 shoppers it will be automatically added to your package at the time of packaging/shipping. Once 150 shoppers come through, this stamp & die set will be available for purchase. So, if it’s for sale in the store, you are not one of the 150. No exceptions will be made. This freebie set is not a part of the “bundle” and will be sold separately! ALSO, DON'T FORGET our sale starts RIGHT NOW here:http://shop.my-creative-time.com/New-Release_c40.htm! Use the code: NOV2015 to receive a discount off your entire purchase! This sale applies to "IN-STOCK" items ONLY. This sale will end on Wed, November 25, 2015 @midnight PST. 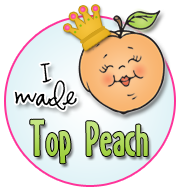 YOUR NEXT STOP IS THE CREATIVE MISS LUCIA! The opalescent string reminds me of cotton candy!!! So sweet! WOW!!! SOOOO BRIGHT CHEERY & PERFECT my friend!!!! 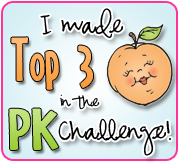 Thank you for doing an AMAZING job w/your sneaky peeks this week as well! 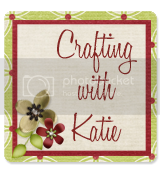 I love the freebie candy dies...looking forward to my purchases. 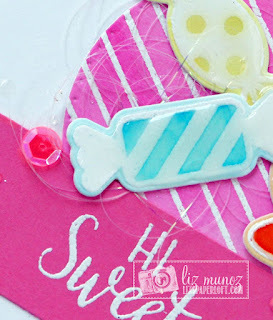 Oh My Goodness Miss Liz your card is so sweet and it's amazing how real the candy looks you did a super coloring as well as a fabulous creative job too. YOU so ROCK!! Goodness, this is so sweet! :) (get it: goodness, and sweet?! LOL I crack me up!) Great card Liz! Sweetie - you made a fun card. Adorable and I love the string! Hugs! Your card is so pretty! Love the circle, thread, sequins and glossy candies for some sparkle. Pretty colors. Your candies are mouthwatering. OMG. I felt in love with this sweet card. Another great idea to use the freebie. Thanks for sharing. Very sweet and I like the yummy colors. Super fun card! Love the colors too! Cute card! 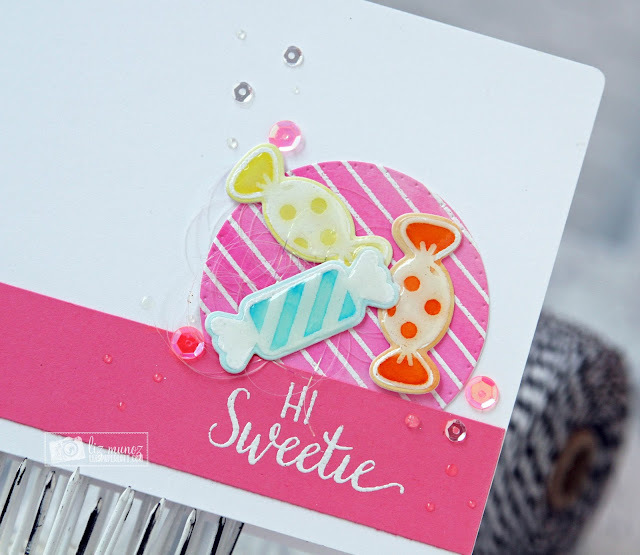 Love the idea of Glossy Accent on the candies; it makes it look like they're wrapped in plastic and adds more shine to the card. Cute and highly creative! Love your work. Super cute card! I love how you embossed the candies!! This is so sweet, Liz! I love the Glossy Accents on the candy! Such a great look! Your showcases over the week have been fabulous; the finale here, nothing short of imaginative and amazing! Your candy cluster is absolutely fantastic...I'm craving something sweet right now! Liz ~ Well isn't this the SWEEEST card!! I LVOE how you did the candy ~ I have to remember to color mine next time! The look is FABULOUS! The whole design is too! AMAIZN creations all week! Oh Liz...i LOVE...love this card!! 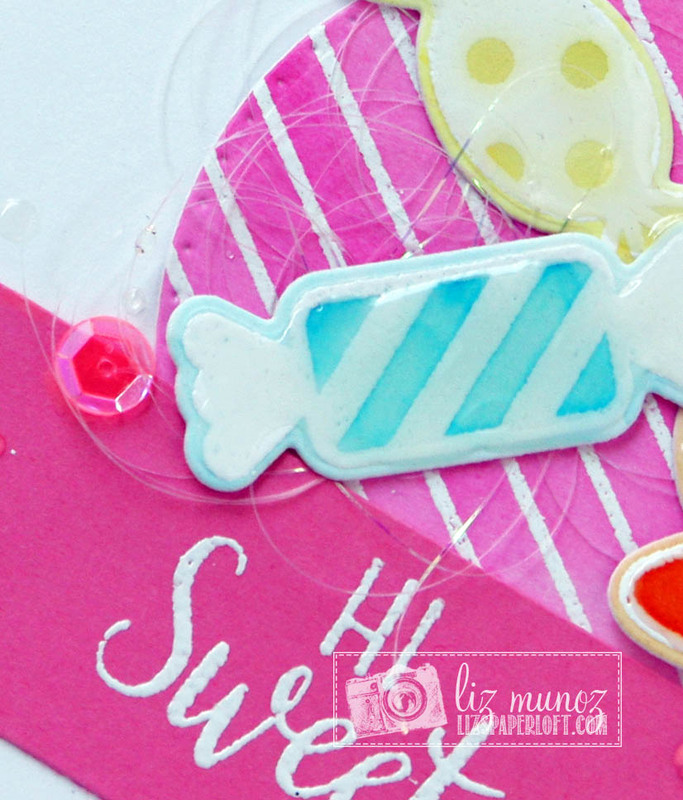 Love how cute those candy's with the glossy accents look! And love the striped circle!! Fabulous card!! You've done a wonderful job with this release!!! Thanks for sharing your yummy card. Love it. Such a cute card. Love those candy stamps and dies! 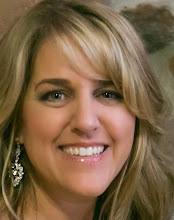 Liz, love the sweet candy. Great idea using glossy accent. Thanks for share with us!